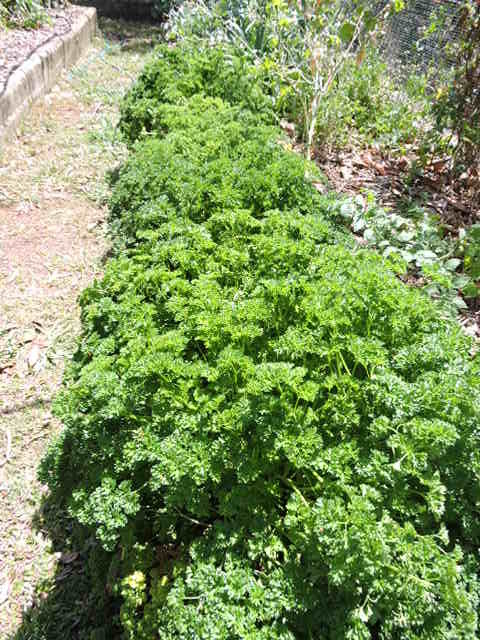 I have a parsley border in my veggie patch and have masses of tasty fresh parsley. This morning I was wondering how to use up a big bunch and came up with a very delicious pesto. It was amazing spread thickly on crackers and topped with halved cherry tomatoes. I have a glut of those at the moment.